Who cares if cash is short? It's your time, and love, that will make mom happy on Mother's Day. Pick one or, better, a few, of the suggestions listed below, and you'll have a good day. 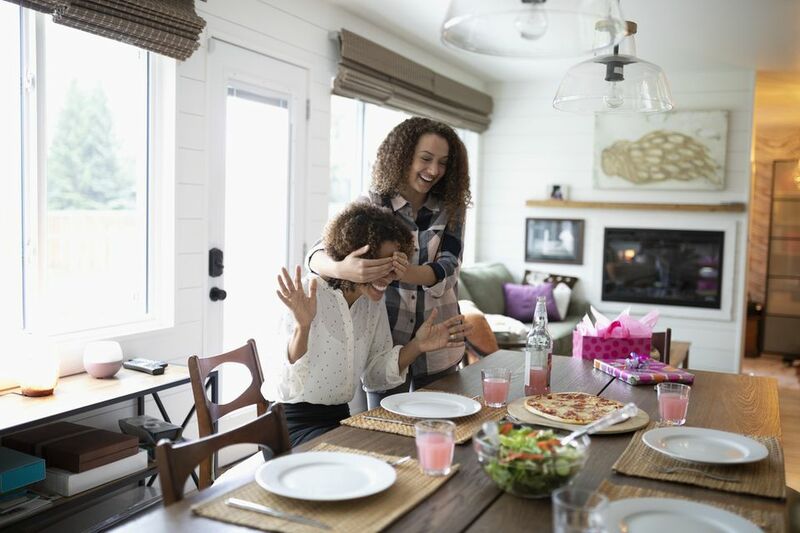 From the heart: Tell Mom you love her, however, you do it: with a hug, a note on the fridge, a letter in the mail, or straight out "I Love You!" Play Mom to mom: Cook mom a meal — and make sure you clean the kitchen up afterward. Make it home beautiful: Clean your room (and maybe the whole house) to perfection. Make her proud: Get an A on your next test or paper, if you're in school. Teach her something useful: Offer Mom two or three sessions of computer assistance; you know more than she does, and most women over the age of 40 could use an upgrade of their computer skills. Make a handmade memento: make a card, write a poem, take a photo, make a photo frame, make a memory. Do the laundry or ironing, if that's a job that usually falls to Mom. Share your energy: Invite her for a walk that lasts for at least a half hour, or a bike ride. In Brooklyn, good destinations might be the Brooklyn Botanic Garden(note: there's an admission fee) or Prospect Park or Brooklyn Bridge Park (both parks are free). Share her interests: Is there some volunteer activity your mom cares about? Help her out with her envelope-stuffing, money collection or phone calls, whatever needs doing. Does she like to read? Get a library book out by her favorite author. Does she like to dance or laugh? Put some music on, tell a joke! Lend a hand: Help her with a project whether that's spring cleaning decluttering, painting the bathroom, or reformatting her resume. Share some e-love: Send her a sweet email. Share your life: Tell her the last names of three of your new friends, or something about your life that she'd like to know (Mothers do want to know). Share your dreams: Tell her what you want to be and how you'd like your life to look when you grow up (even if you’re not sure), or move out. Don’t buy your mother a gift with her own money. Don't buy your mom a gift that's too expensive for your budget. Don’t get her something that reminds her of something she hates (for instance, if she hates to sweep, don’t get her a new broom). Don’t fight with your sibling on Mother’s Day. Don't choose Mother's Day as the moment to make an announcement that might be upsetting, like that you're quitting school or that your job is, alas, relocating to Hawaii. Don’t pick a fight with Mom on Mother’s Day. Finally, a note about flowers. For some moms, flowers are simply a "must-have" for Mother's Day. If you can afford to, get a bouquet. But of course. prices soar on Mother's Day weekend. So, if your budget is really tight, don't buy that wilted bouquet that's been marked down. Do something classy instead; buy just one very beautiful flower. Or, head to the supermarket and get a big hanging basket of ivy, which will last a very long time. Or, if your mother will appreciate it, get a small pot of herbs she likes, such as mint or basil, that she can keep and use. After all, even with flowers, it's the idea, and the way that you present the gift, that really counts.